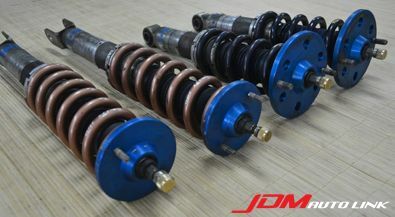 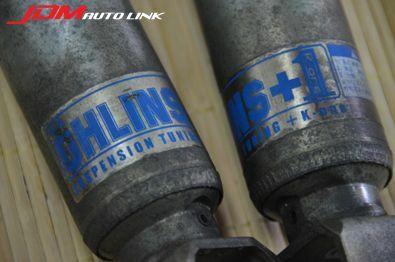 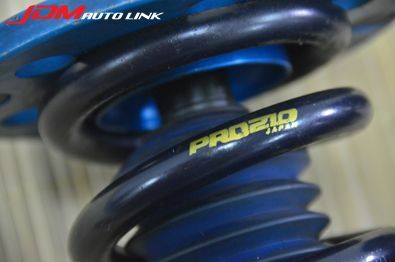 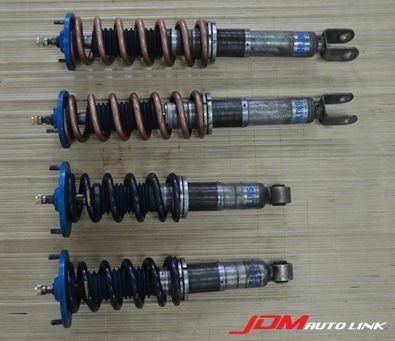 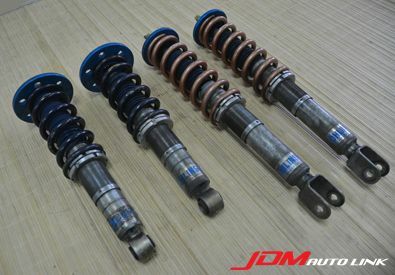 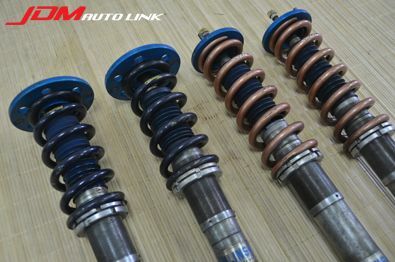 Set of pre-owned Ohlins+K-One Coilovers for the Nissan Skyline R32 GT-R (BNR32). 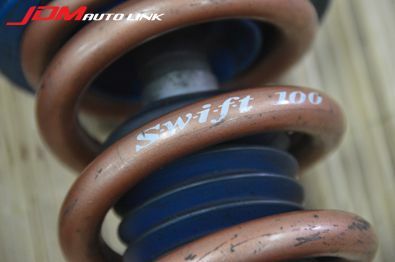 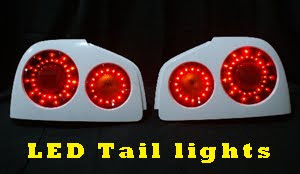 These comes with Swift 100 coil springs and Tanabe Pro210 coil springs. 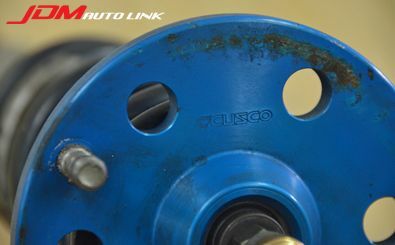 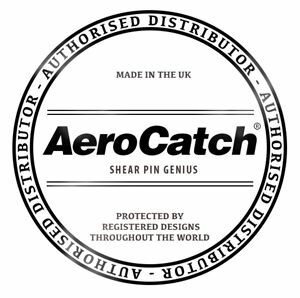 In addition to that, it has Cusco pillowball mounts all round.